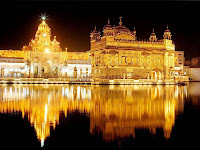 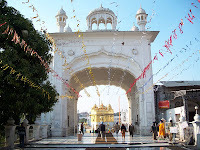 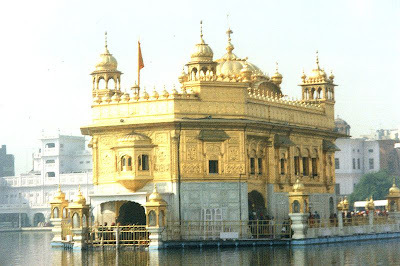 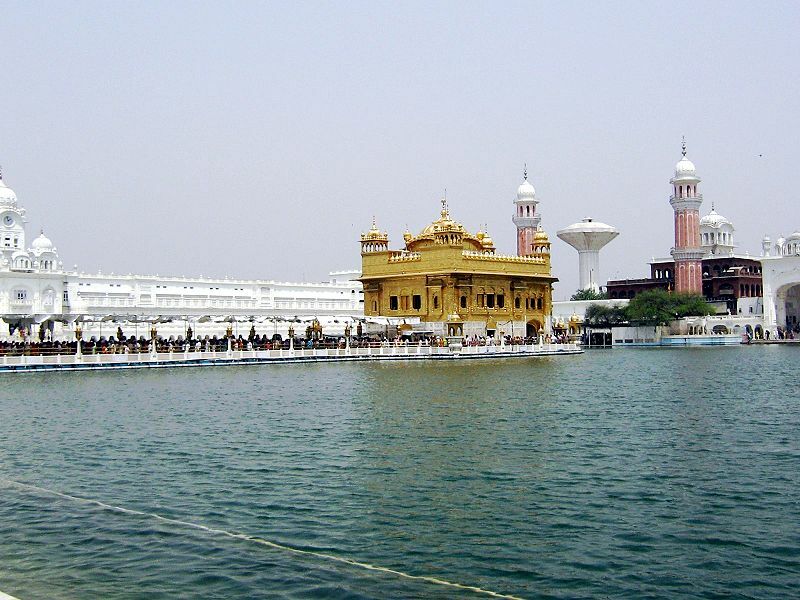 The Golden Temple, known in India as Harmandir Sahib, is a Sikh temple located in the Indian city of Amritsar, near the Pakistani border (in the state of Punjab).Sikhs consider it their most sacred temple and must journey there to pray and offer their prayers at least once in their life. 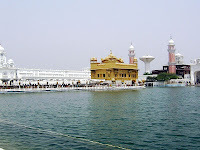 Originally built in 1574, the site of the temple was surrounded by a small lake in a thin forest. The temple was completed in 1604. 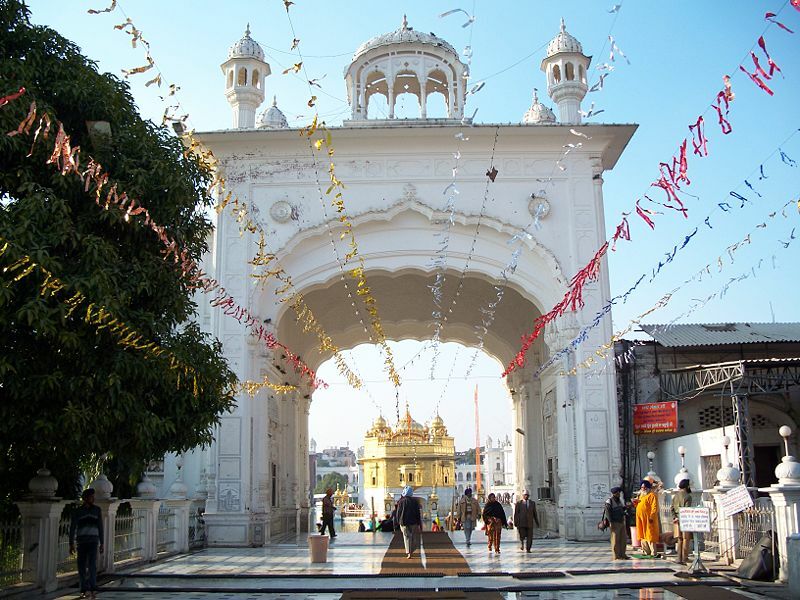 In the mid eighteenth century it was attacked by one of Ahmed Shah Abdali generals, Jahan Khan, and his Afghan military forces, and had to be rebuilt in the 1760s.